Sometimes when you are in the middle of nowhere you want to watch the latest episode of Cosmos. There’s just something about resting under the stars watching Neil deGrasse Tyson talk about the stars. Northwest Montana isn’t exactly the middle of nowhere. There is less light pollution (ranked 48th in population density) and the air is clearer (due in part to altitude) making this region perfect for star gazing. They don’t call it Big Sky Country for no reason. What I came up with is a dual purpose HTPC combo of Chromecast and XBMC plugged into the DC powered LCD TV that came with our RV. Google’s answer to a set-top-box requires a media source to play from. It has no internal storage so I use my Nexus 7 tablet to stream (or “Cast”) video. It plays Netflix when we have service. The free and open source media center project runs on Linux and comes with almost every codec known to man (it can play almost any video you got from even the shadiest places on the ‘Net). A Linux distro with XBMC pre-installed can be run on an old laptop, or a PC, or in this case, RaspberryPI. 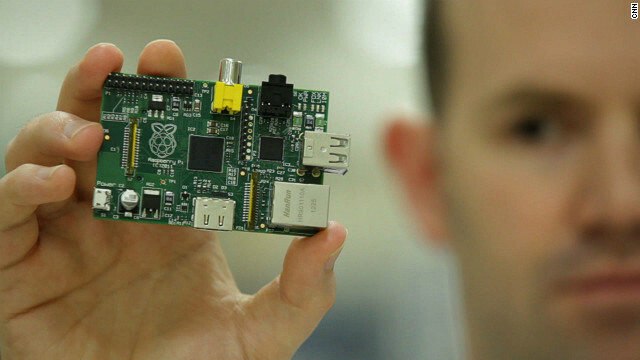 The RPI is a low-power computer in a credit-card-size format and has just enough power to play MP4 and AVI at a reasonable rate of quality. It will run off DC power like Chromecast and the TV. Best part is I can load a USB memory stick up with video and play it back without access to the web. 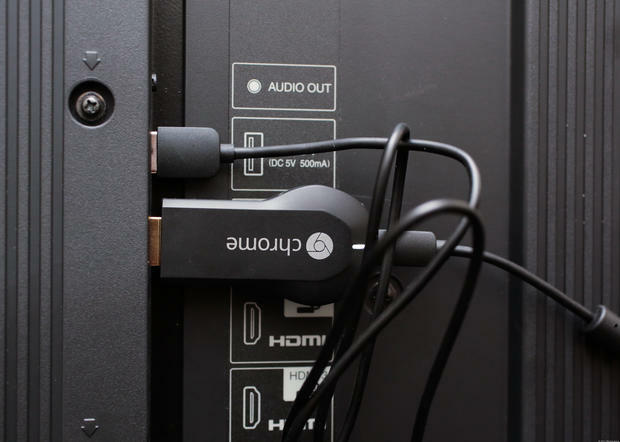 Buy Chromecast on Amazon. Don’t worry, the drones will deliver to your GPS coordinates. Have a beer while you wait. When Chromecast arrives plug it in to your TV, turn on wifi, install the Chromecast app on your tablet, follow directions. It took me longer to finish my PBR tallboy than to get Netflix streaming on the TV. I used OpenELEC to get up and running fast. Download the diskimage version. Follow directions to copy onto SD (you will need a laptop with SD card reader for this). Plug USB wifi and tiny keyboard adapter into RPI, attach HDMI to TV, attach power. When the XBMC media center comes up connect to wifi and enable network sharing. Our favorite shows right now are Fringe and Cosmos. We also stream TED Talks and our favorite Seattle public radio station KEXP. Sweet! You are ready to Cast. « Want to Get More Done? Head East.